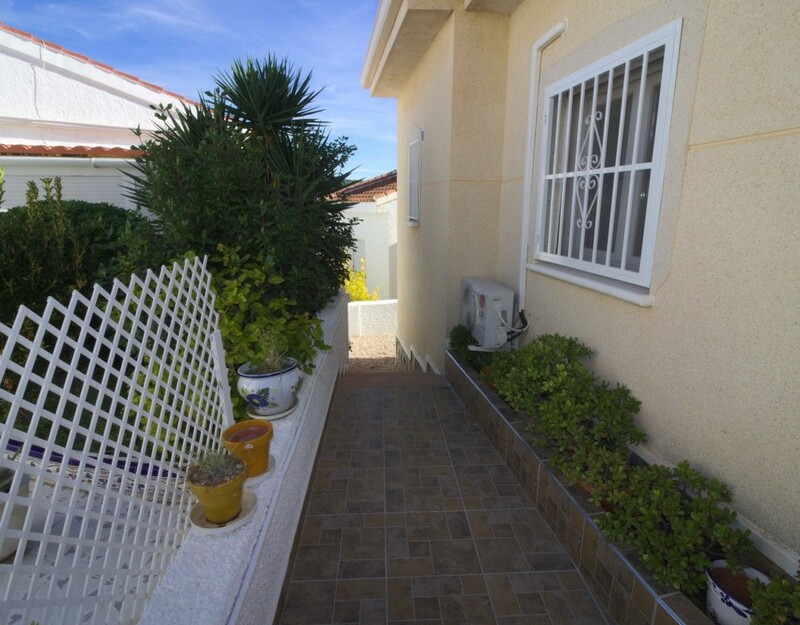 Distance to Golf: 2 Mins. 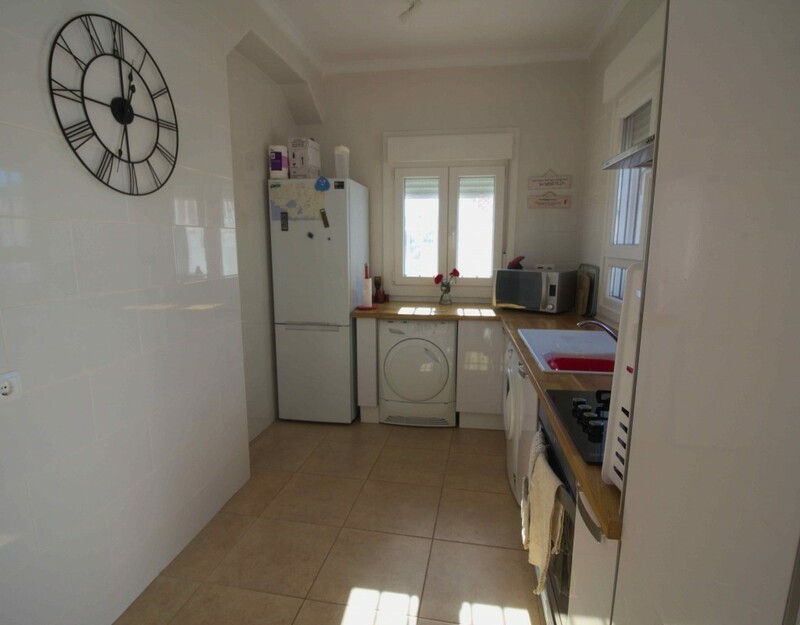 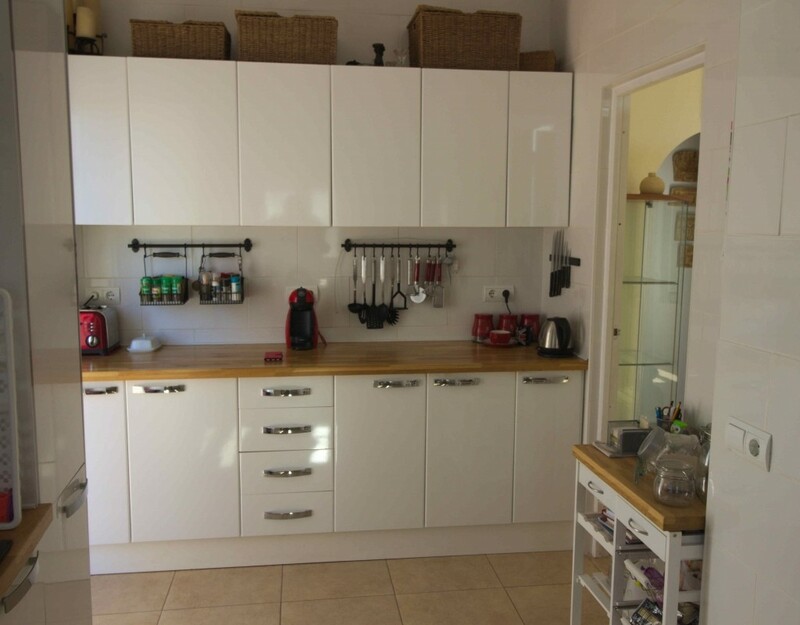 This delightful property has been fully refurbished by the current owners to a very high standard and now offers; a lovely glazed in nayar, an ideal place to dine, a very inviting larger than average light and airy lounge/diner with a pellet burner (installed in 2017), a fabulous extended fully fitted designer kitchen/diner with a new gas hob and electric oven, two double bedrooms both with fitted wardrobes, the master bedroom boasting its own en-suite bathroom plus a good size family bathroom. 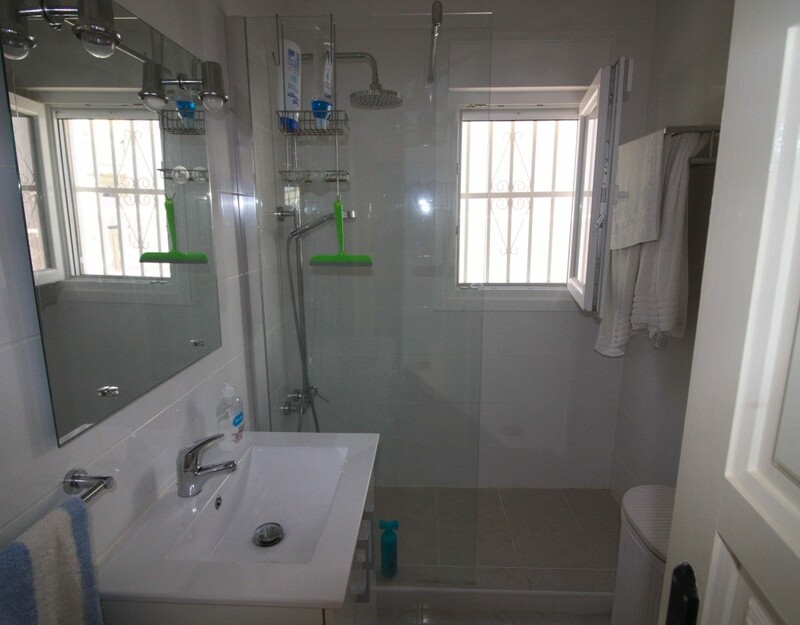 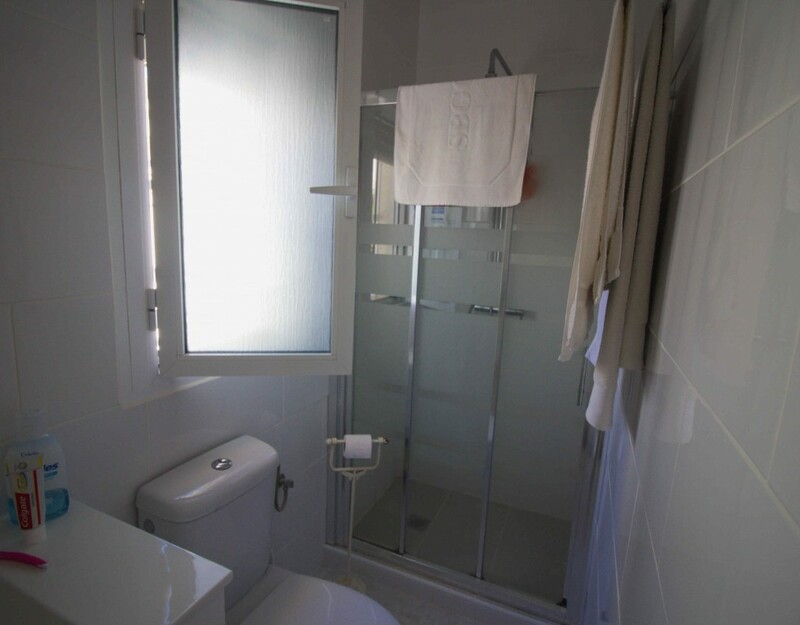 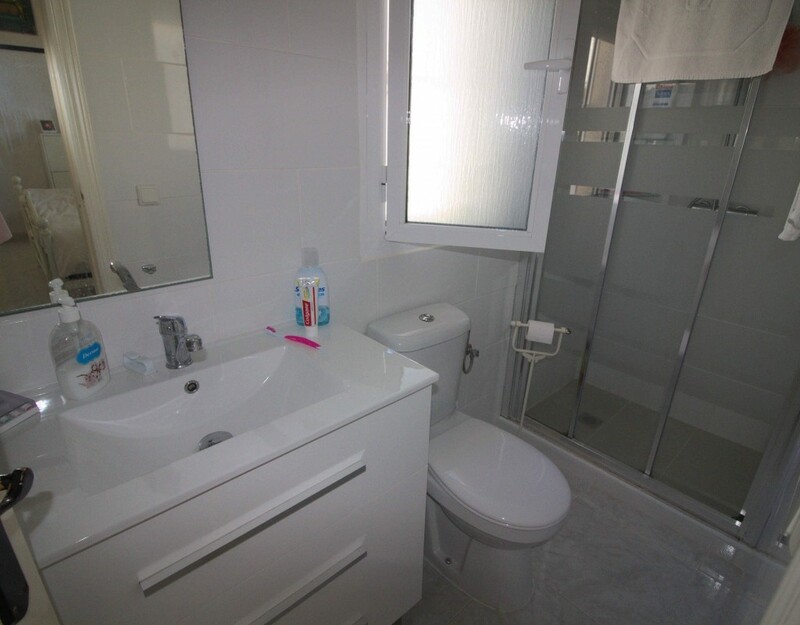 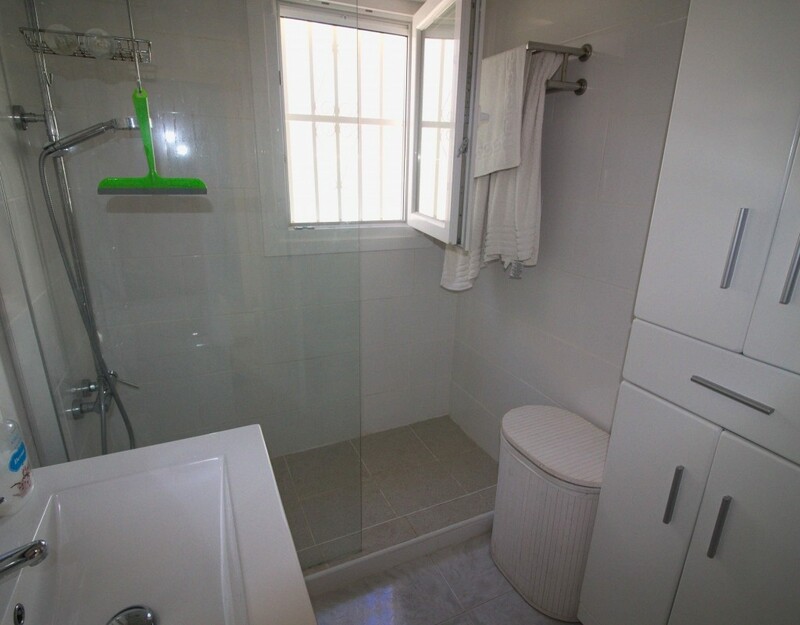 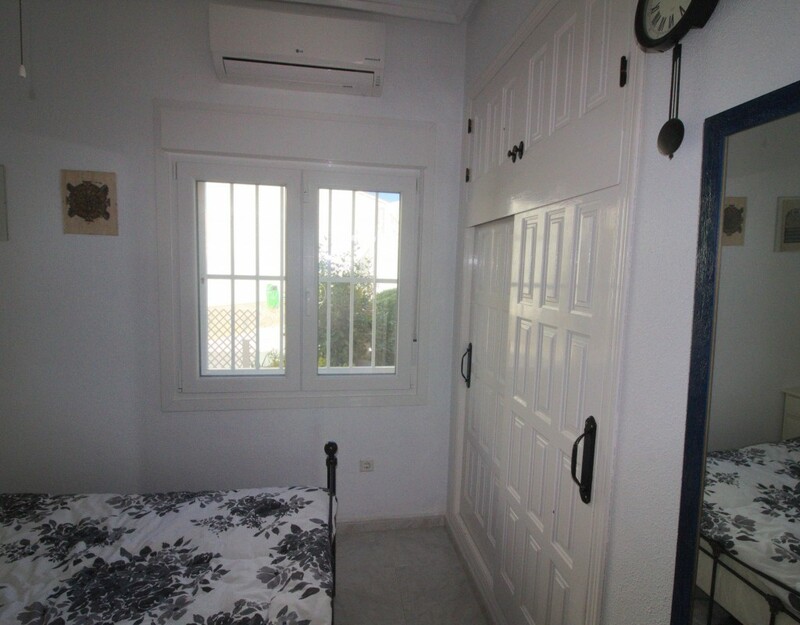 Both bathrooms have been completely renovated and now offer two modern walk in showers. 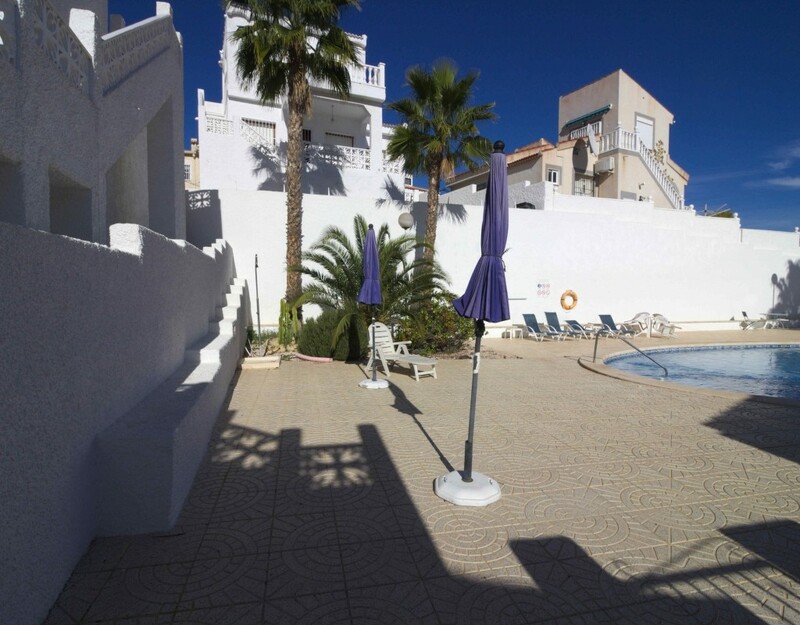 The villa also offers access to a wonderful communal swimming pool. 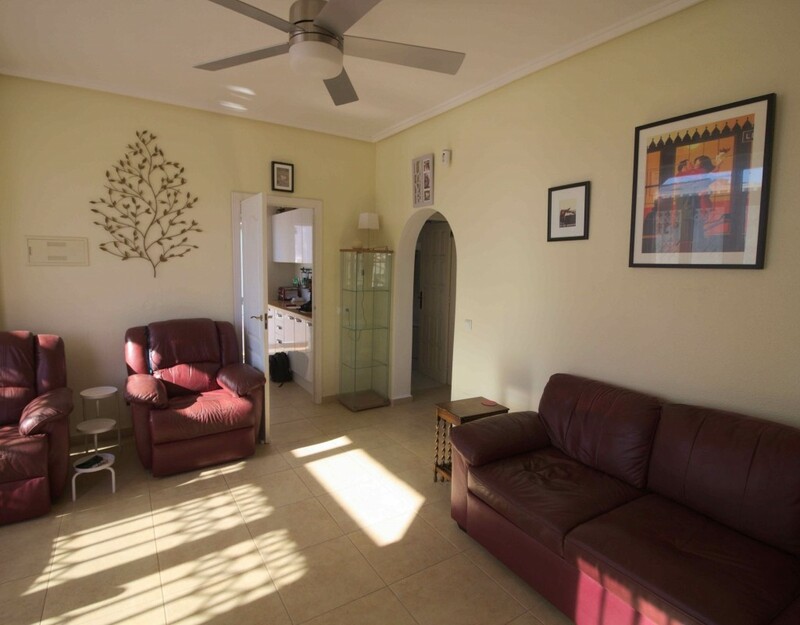 The property has many extras and upgrades including; new tilt and turn double glazed windows, new security doors front and rear, hot and cold air conditioning units in lounge and both bedrooms, ceiling fans in lounge and bedrooms, new boiler, new mosquito blinds, external water filter, natural gas installed. 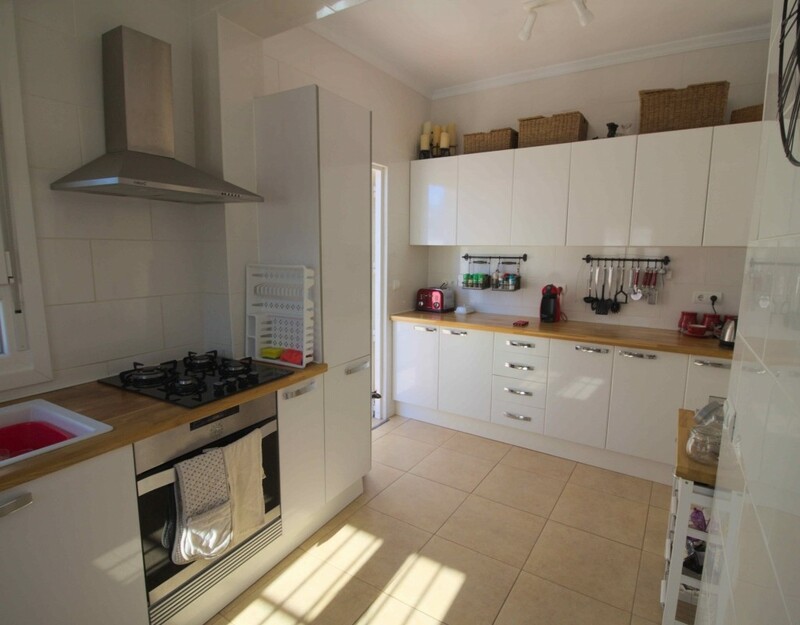 The lounge and kitchen floors have been re-tiled with non slip tiles. 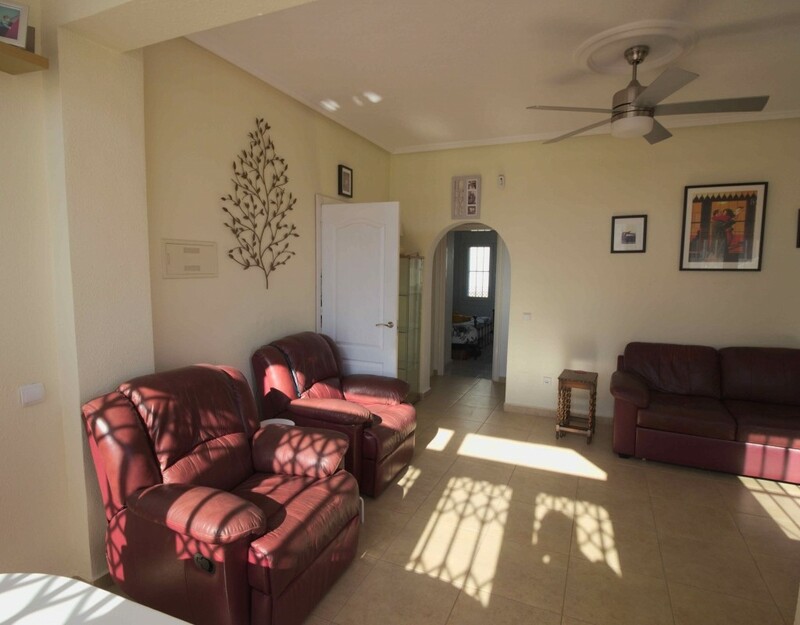 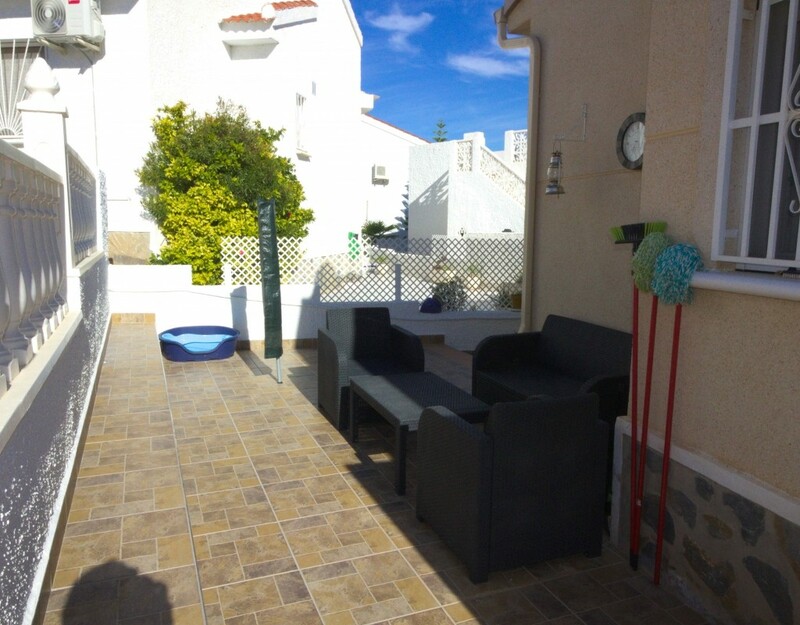 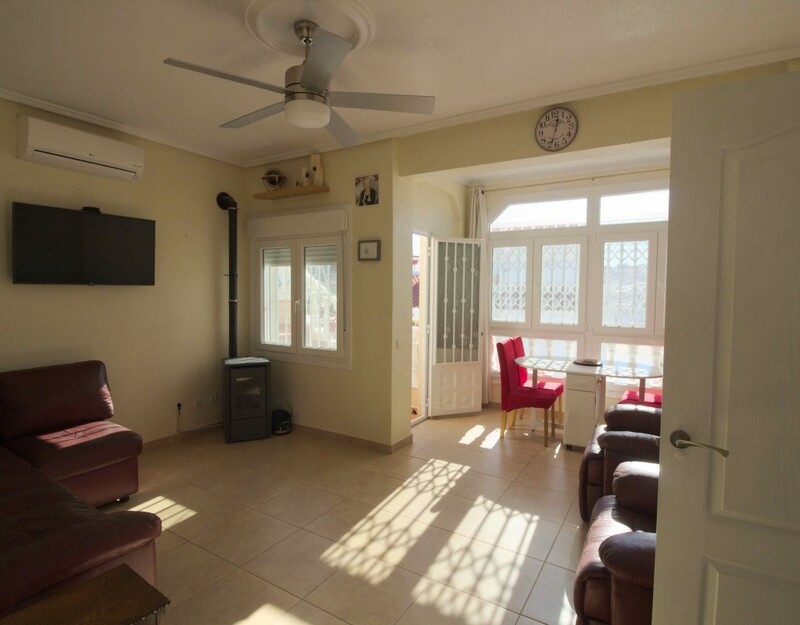 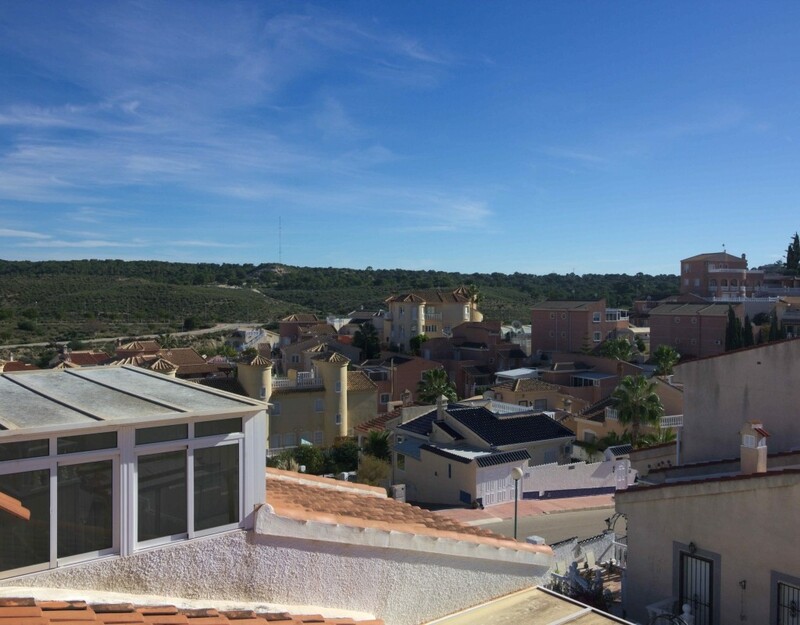 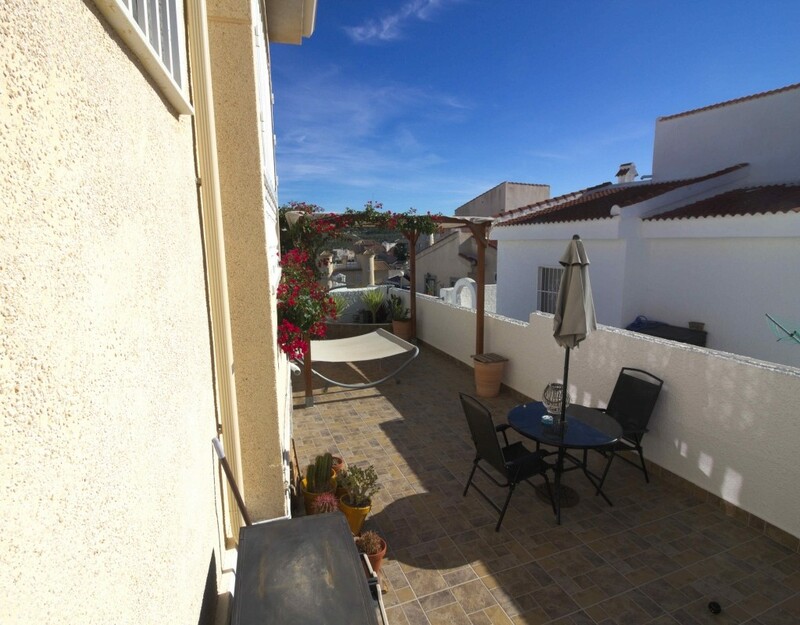 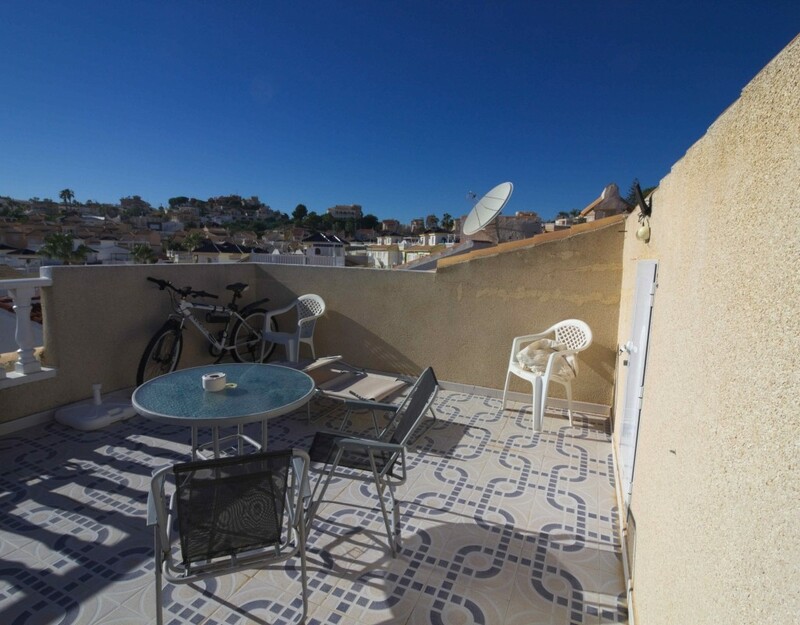 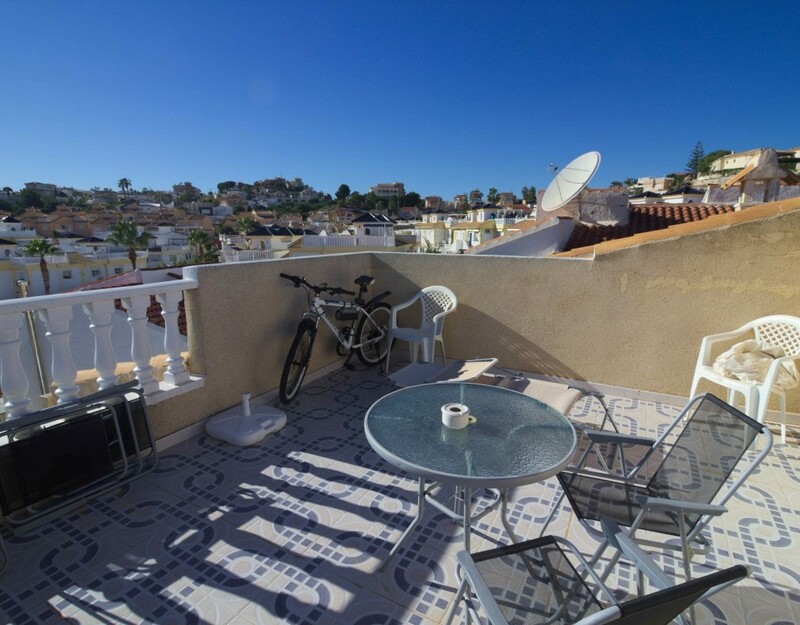 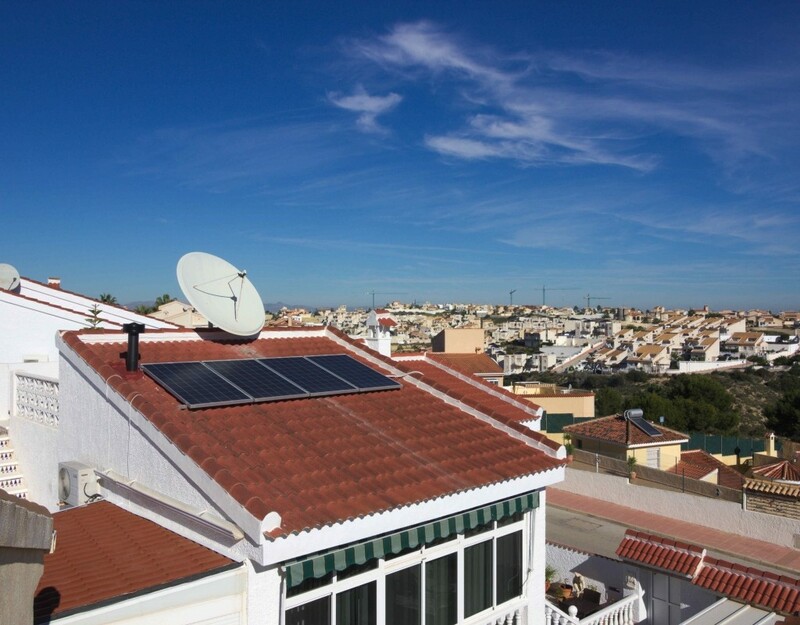 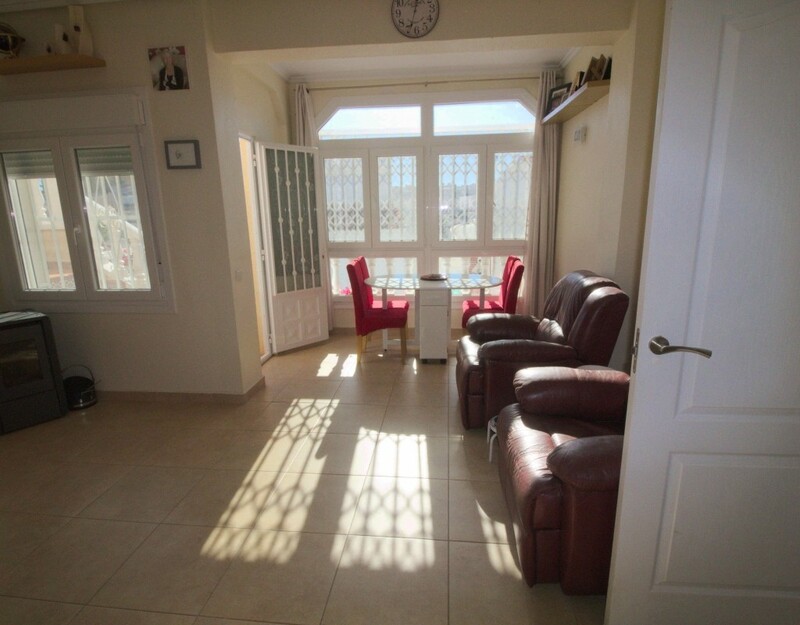 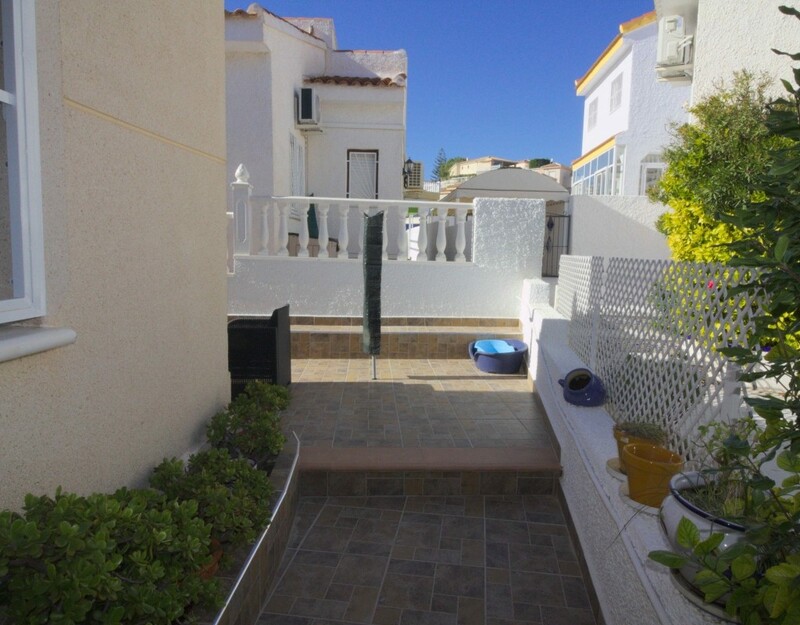 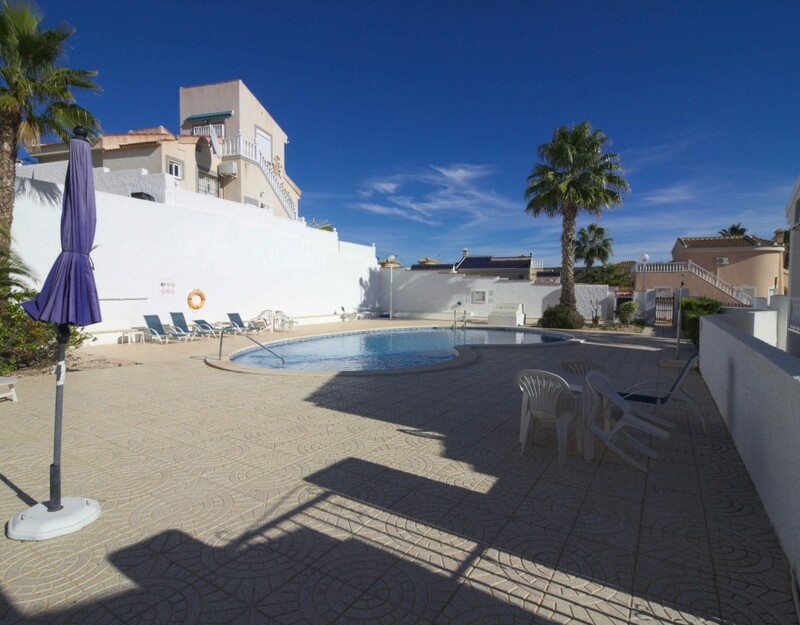 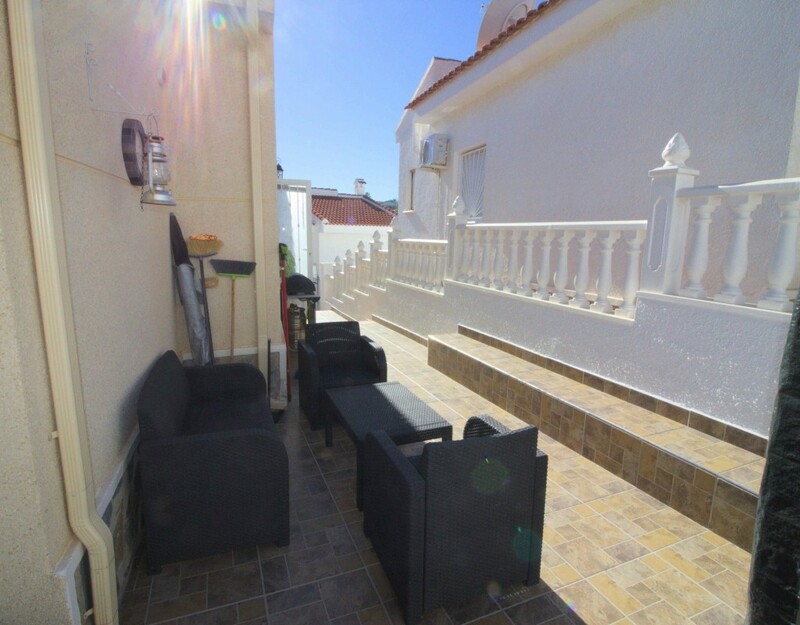 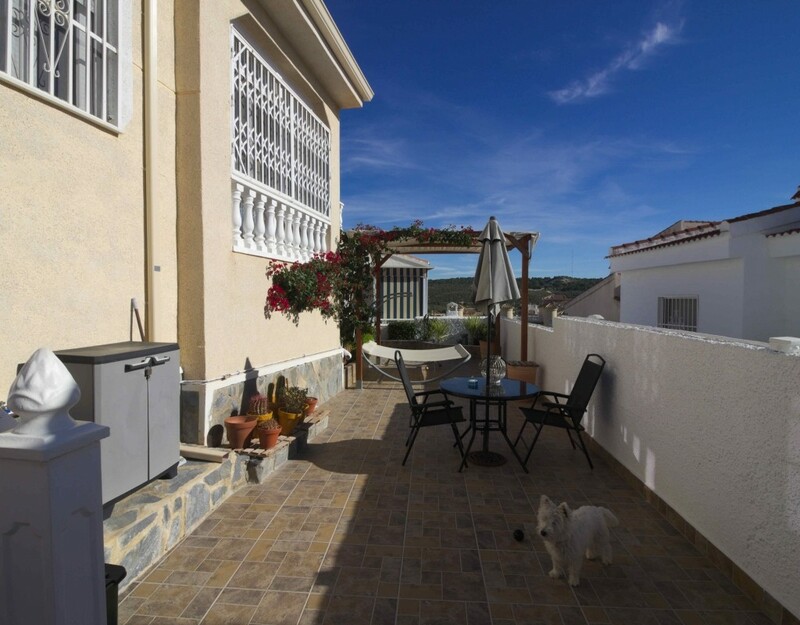 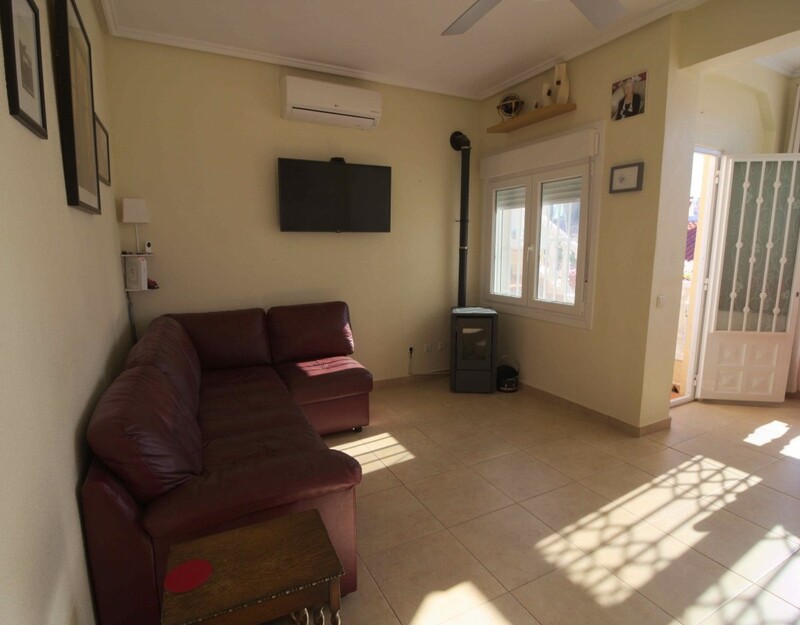 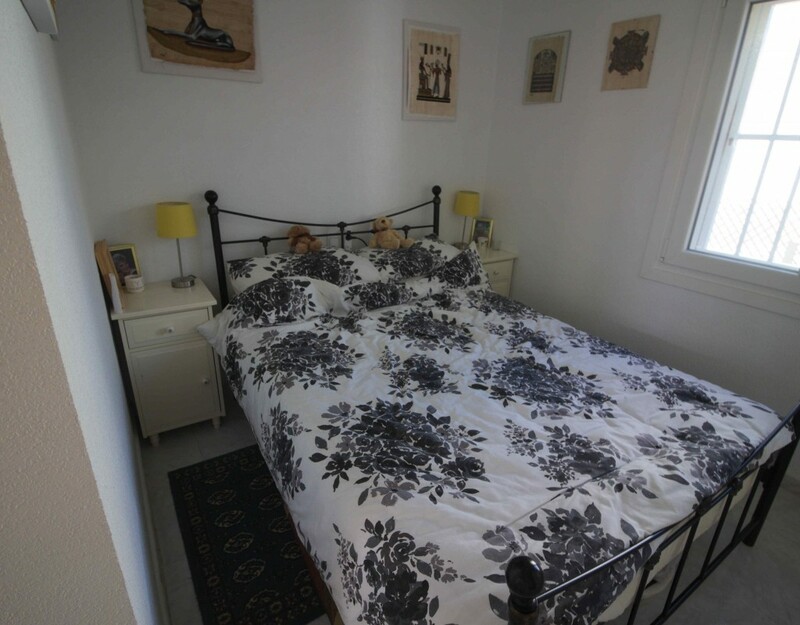 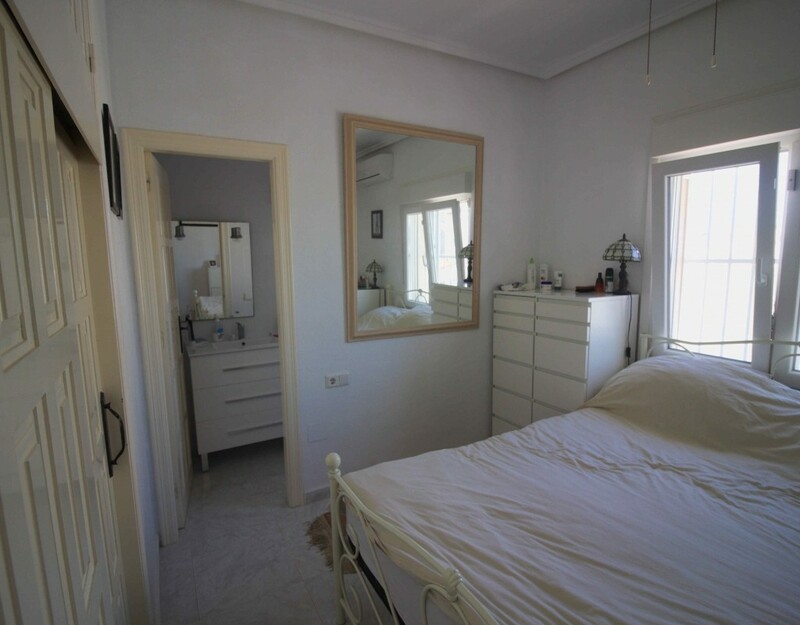 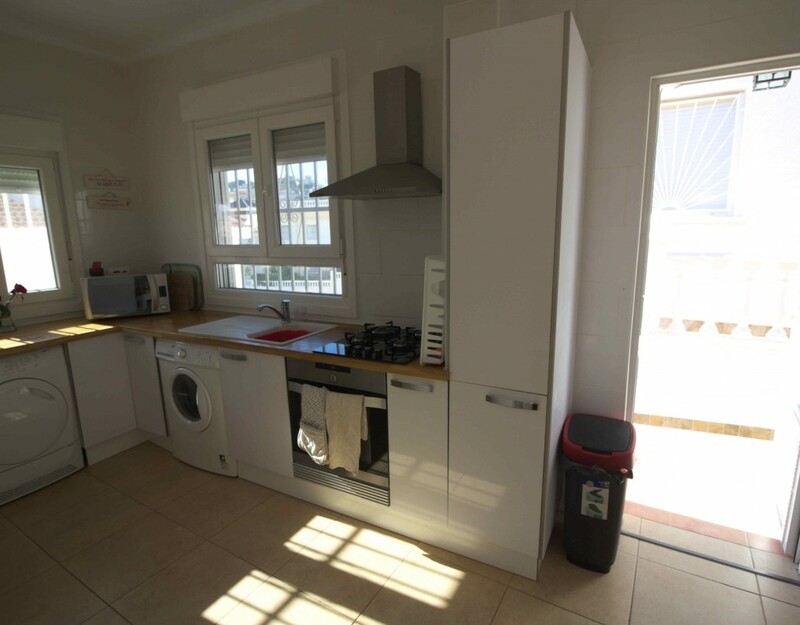 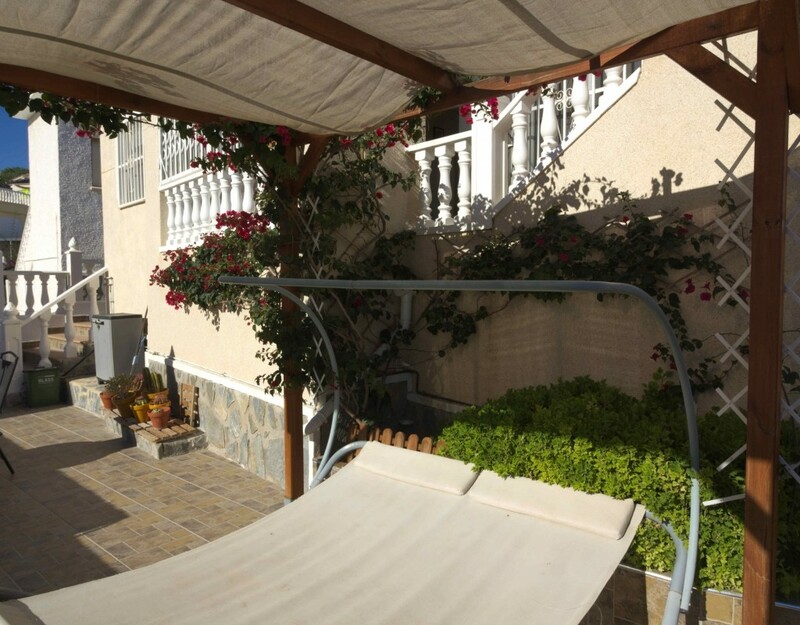 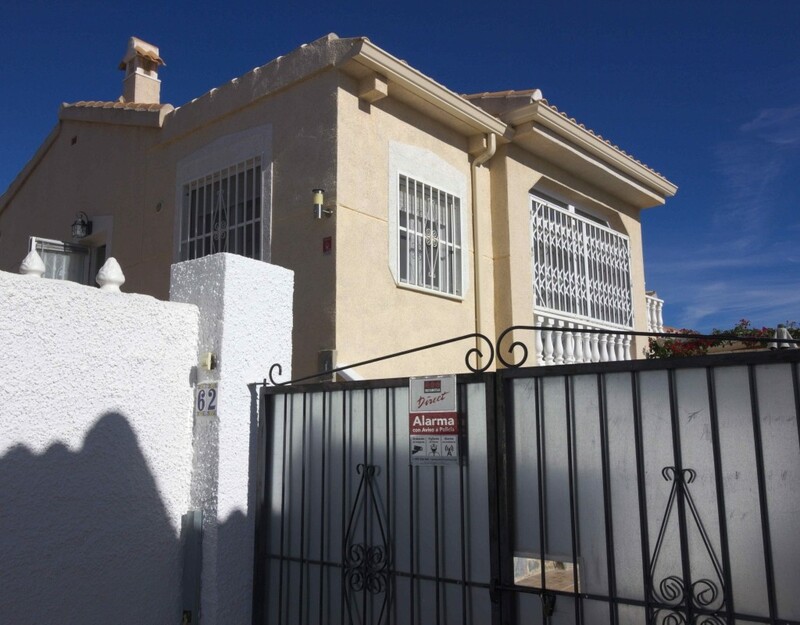 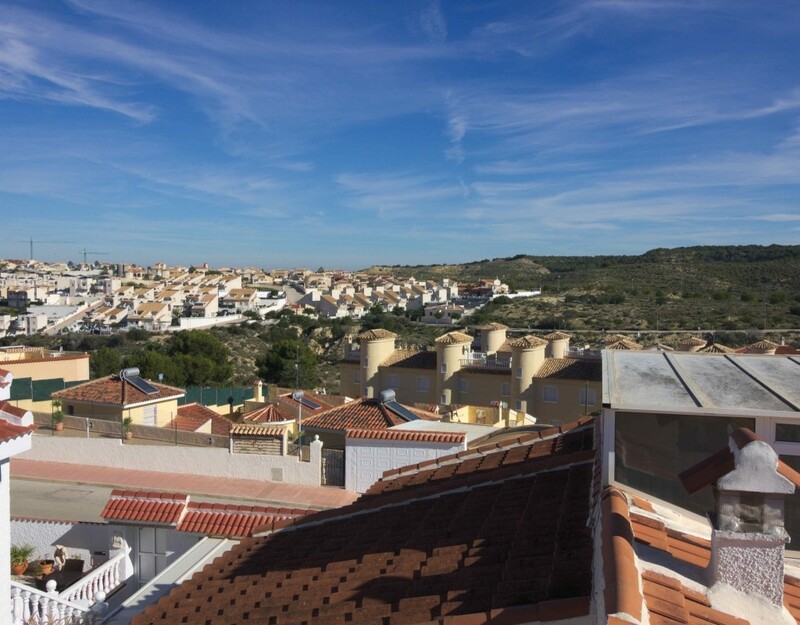 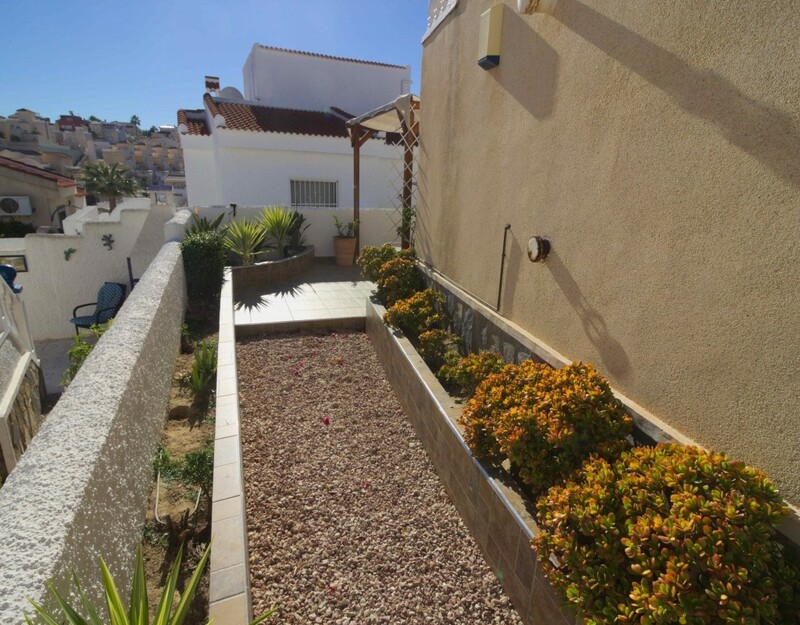 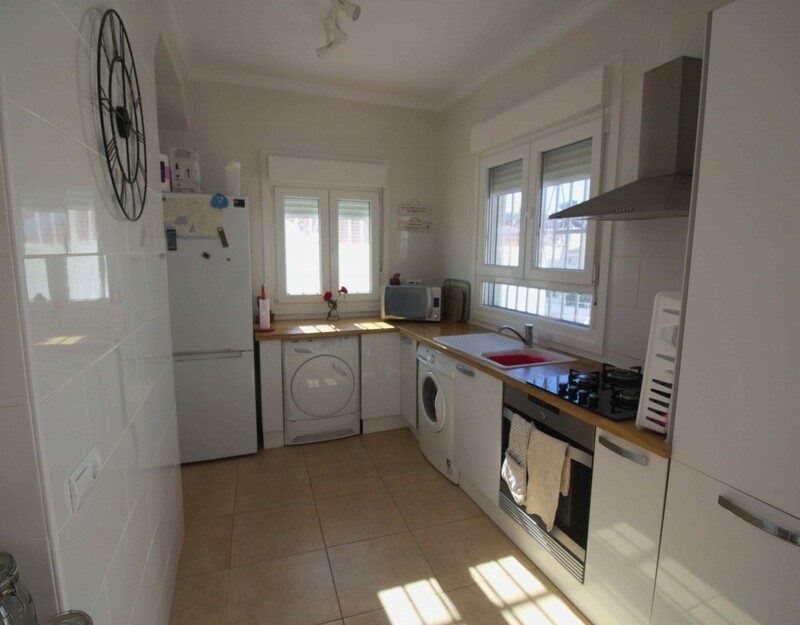 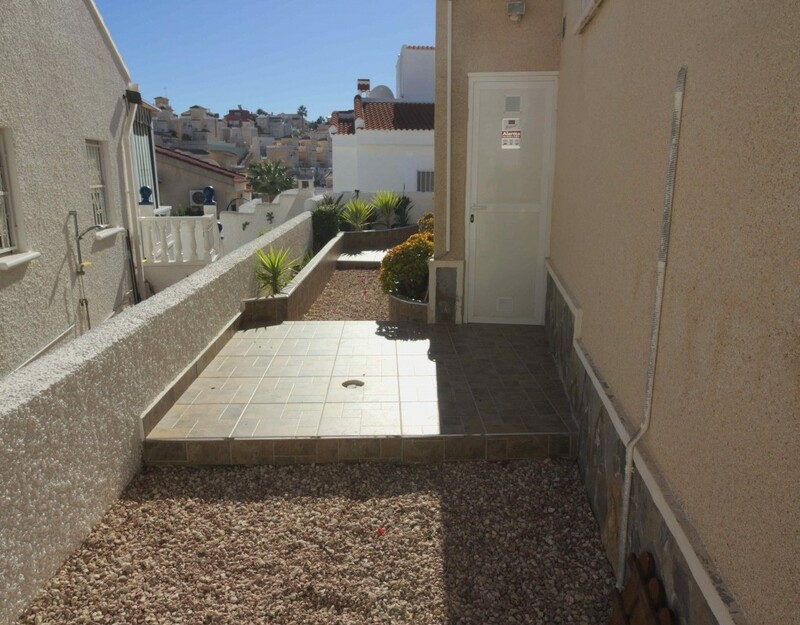 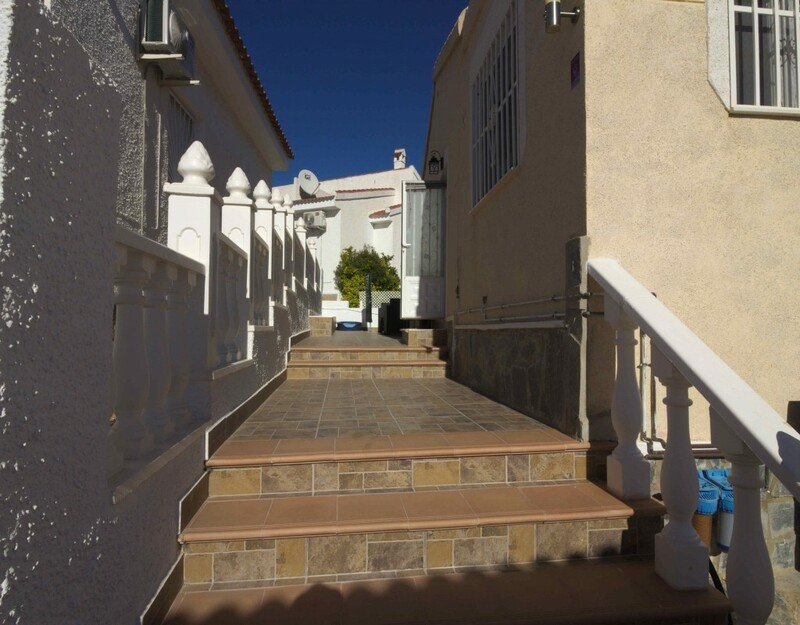 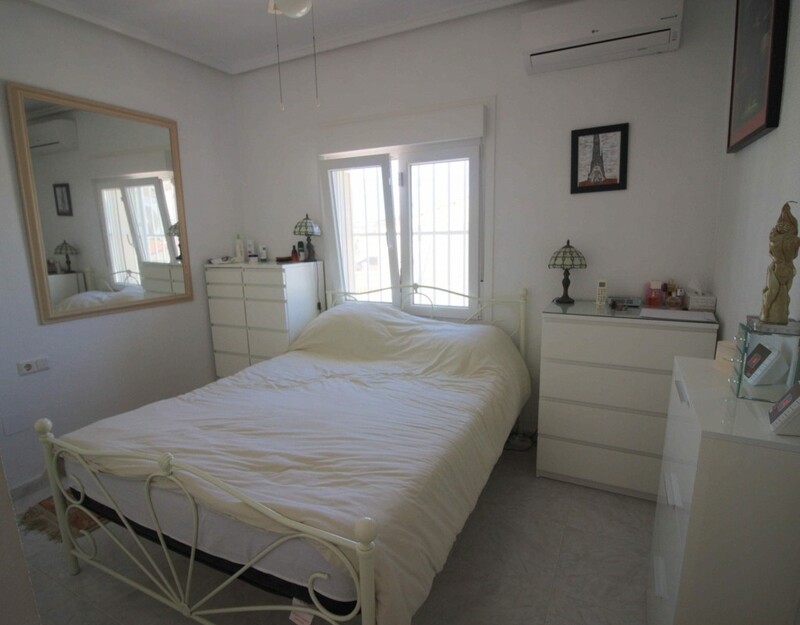 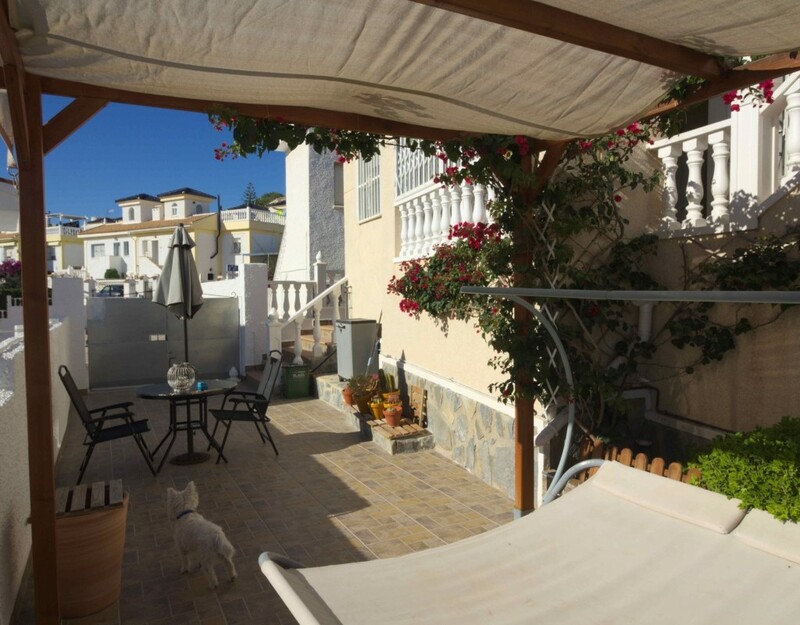 Due to its size, location and turn key condition this property offers an excellent opportunity as either a permanent or holiday home in the sun.